Winter is pretty much upon us, it's darker, it's colder and the Christmas adverts have begun! When I reach this time of year my enthusiasm for fashion seems to slump. I automatically reach for the warmest, coziest outfit which I then continue to wear repeatedly throughout the next 4 months. 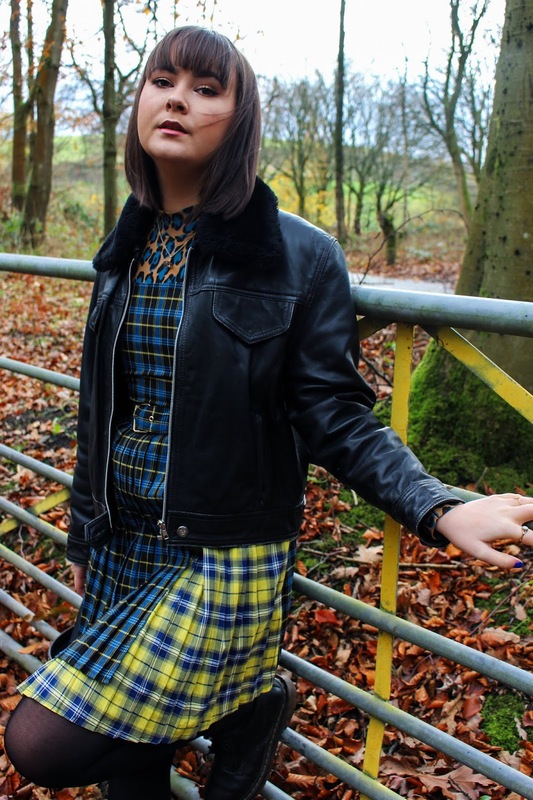 I mean it's not a bad thing, but for someone who adores experimenting with fashion and pushing the boundaries, it isn't exciting wearing jeans and a black puffer jacket every day. 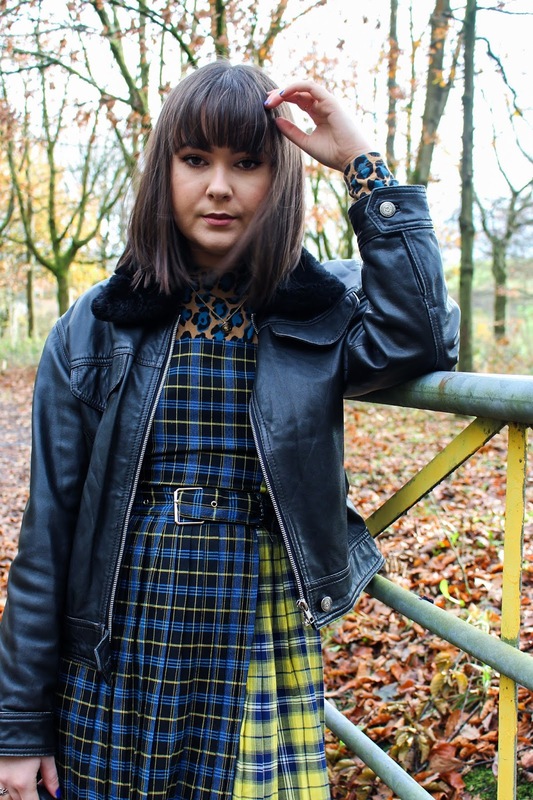 So today's post is all about embracing those pieces, prints and patterns that can make your winter wardrobe pop! 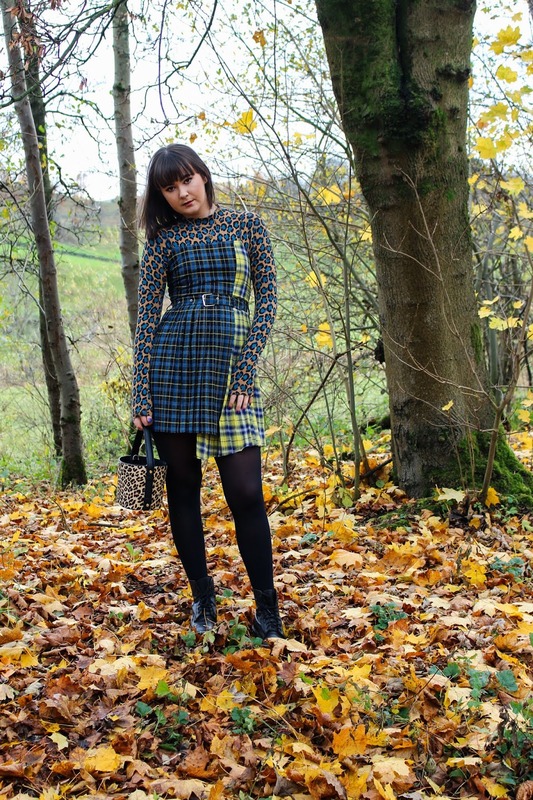 The base of my new Winter look was this beautiful Boohoo pleated tartan dress which I thought was so unique and different! 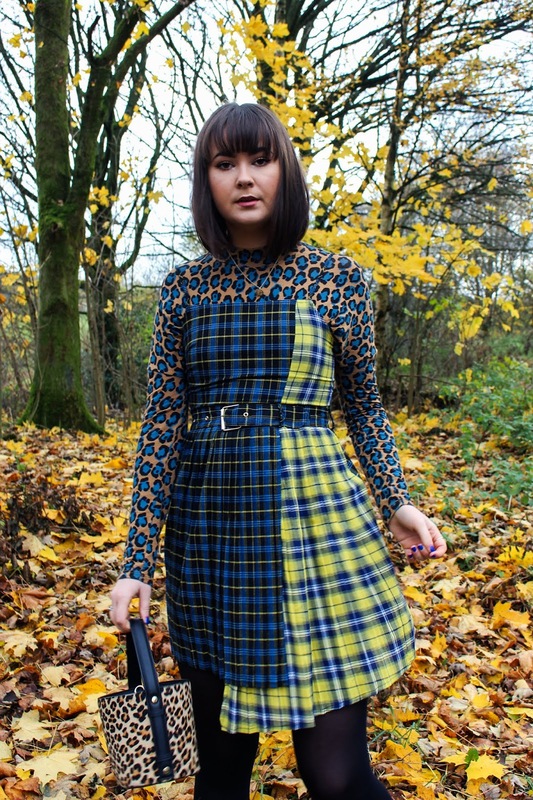 First of all, the kilt-like silhouette intrigued me, it's like a classic pinafore with a twist and I completely love it. The colours were another aspect which screamed 'MUST HAVE' at me, they aren't colours I generally reach for but the contrast of them works incredibly. It's a piece that could pop either dressed up or dressed down but I chose to keep it cozy. If you want to have a shop at similar pieces then click here: http://www.boohoo.com/dresses !! I knew I wanted to layer with this look by adding some form of high-neck jumper underneath but I wasn't too sure on which style. 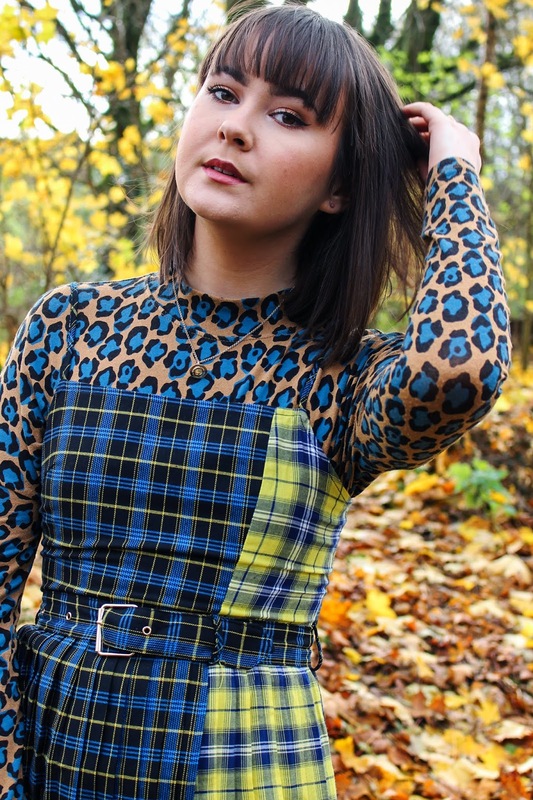 After debating over a plain black turtle-neck or a striped silver roll-neck, I decided on this leopard print high-neck jumper. I LOVE IT! 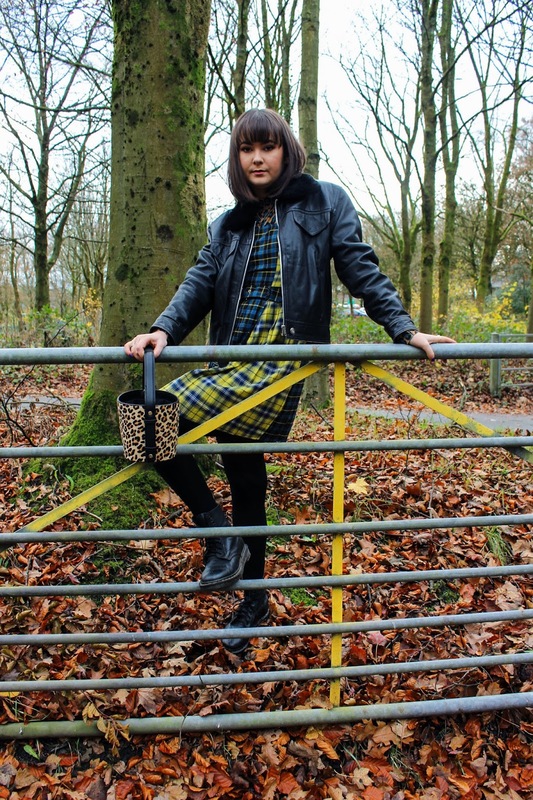 Contrasting the leopard print with the checked pattern was a bit of a reach but somehow I pulled it off. The colours are so complimentary which was unexpected and the prints seem to gel seamlessly together, the combo definitely POPS! 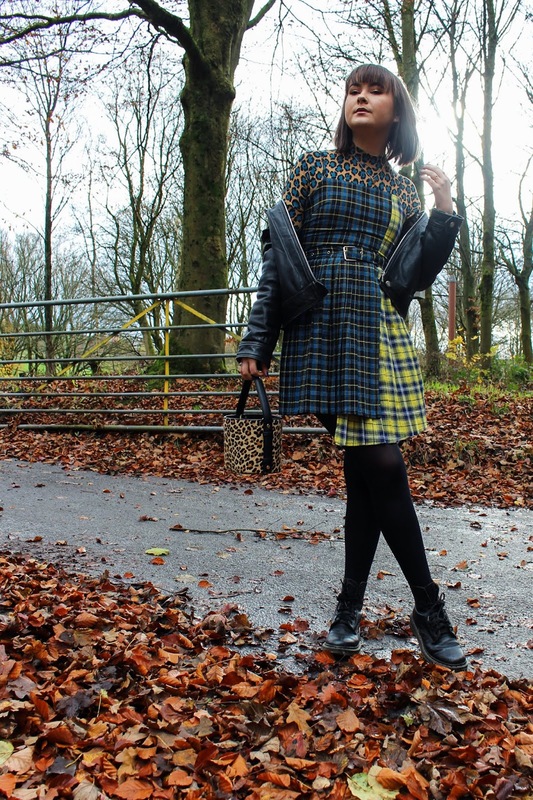 After getting the initial look together, I knew I needed to add some tights, my trusty Dr Martens and to find an edgy jacket to finish off this look. 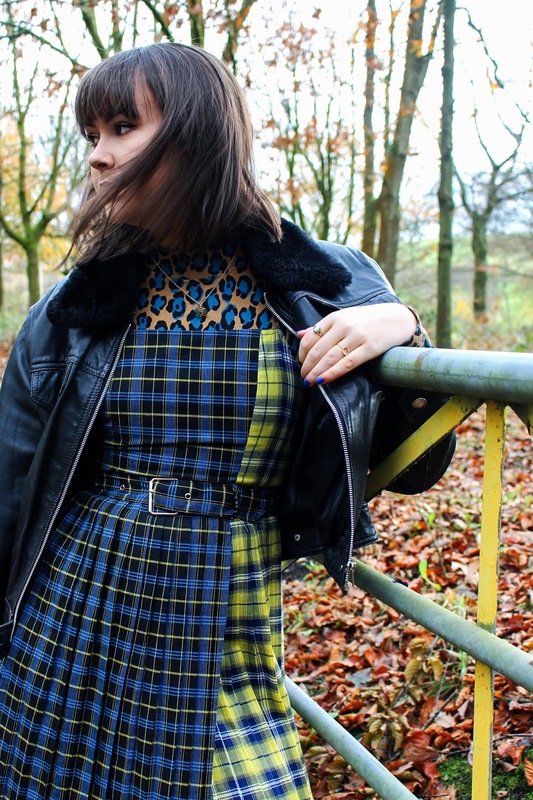 I opted for a slightly cropped Charity Shop leather jacket as I thought it complimented the grungy vibe of the dress really well, along with creating a flattering silhouette. 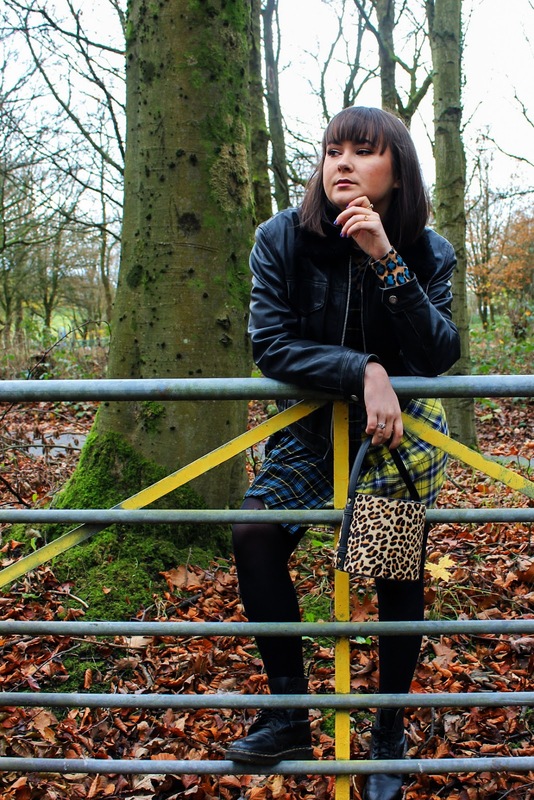 I grabbed my favourite Topshop leopard printed bucket bag and the look was complete. This outfit is something you wouldn't imagine when looking at these pieces individually. 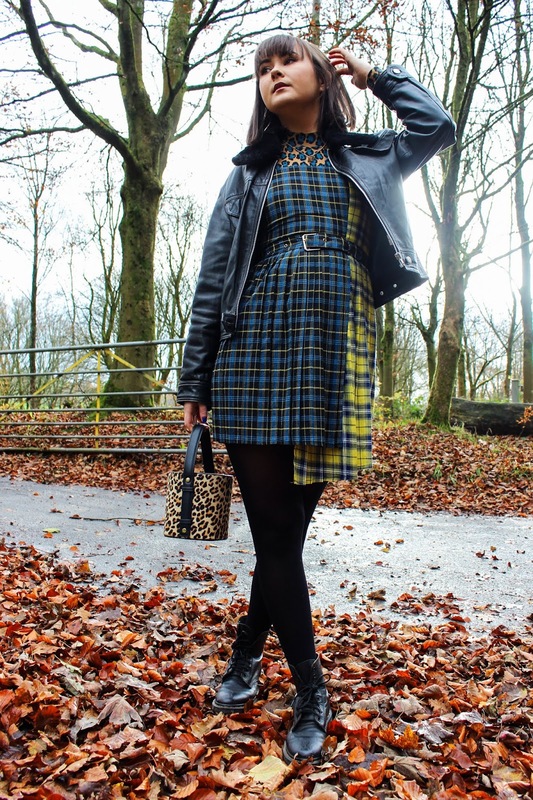 You assume big boots don't go with dresses, high-neck jumpers should go with pants and that leopard print and tartan will never work! So I challenge you all to search through your wardrobe and find those pieces that you want to make POP! Start by trying to view them in a different way and finish with embracing whatever innovative creation you have made, remember that fashion is meant to be fun!